It wasn't a surprise for me, that I fell in love with yet again another Stylenanda 3CE product and this time it's their Under Eye Flash. So what is an Under Eye Flash? 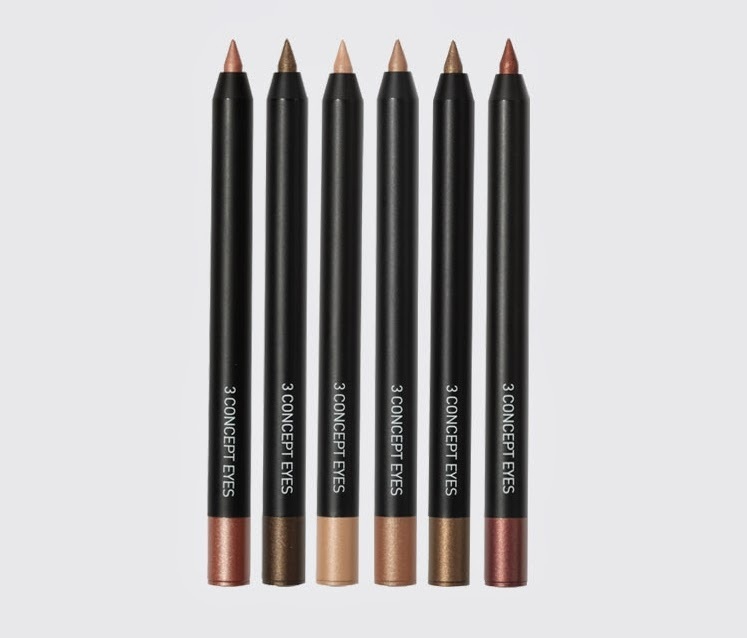 It is basically an eyeliner that according to Stylenanda, "the name eye flash is given to this under-eye makeup for it's soft colors retain and and brighten up the eyes and adds depts for a gorgeous appearance." It is a liner which is waterproof, has a rich, opaque color and has a very creamy texture. The Under Eye Flash line has 6 shades: #1 Romanticism, #2 Pitter Patter, #3Lovable, #4 Brown Sugar, #5 Hazzy Mocha and #6 African Sunset. 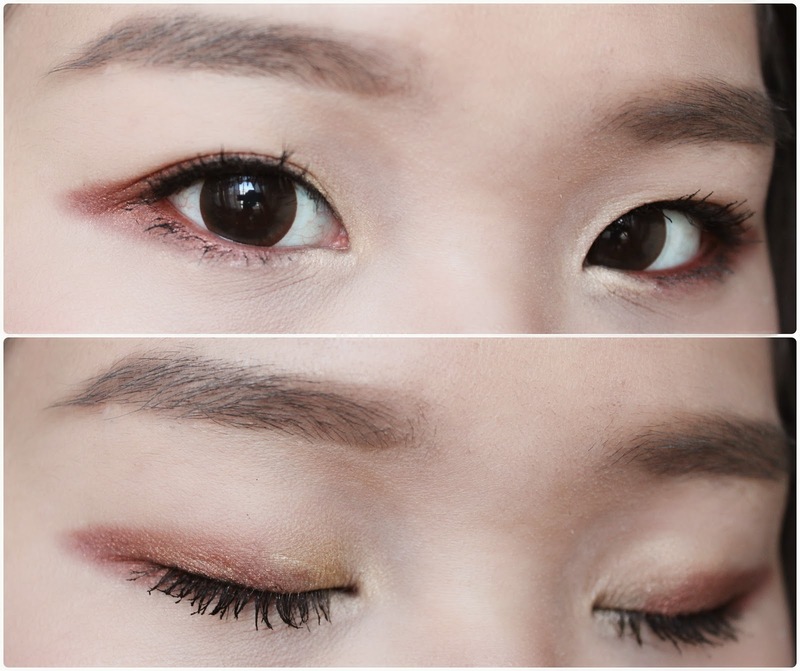 The lighter shades are great for creating that bright inner eye corner and aegyo sal that Koreans are very fond of. 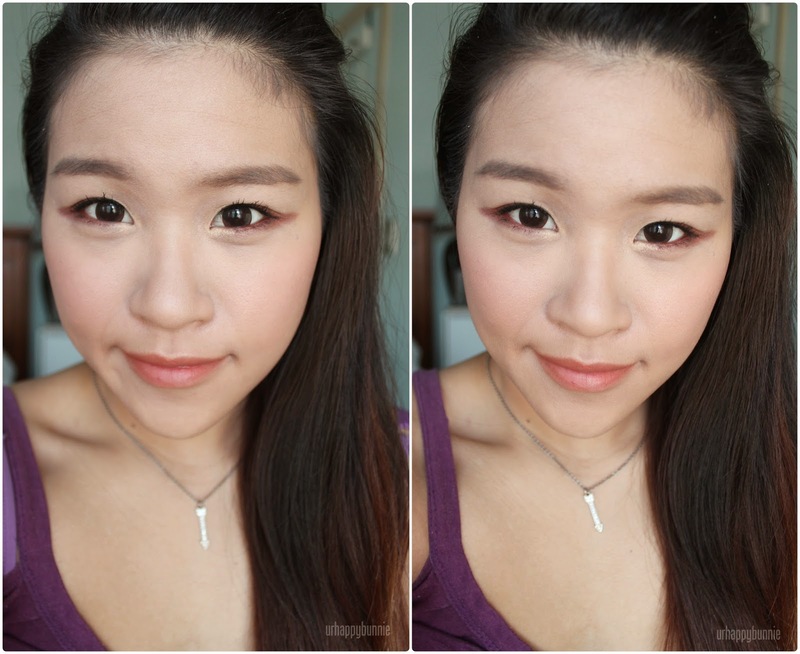 Aegyo sal is that puffy, under eye skin that Korean women find beautiful and youthful looking by brightening the eyes. Stylenanda's packaging is always so sleek and chic that it appeals to me and perhaps to most of the consumers. The eyeliner is retractable so it's great because I won't need to sharpen it. All you need to do is twist the colored base. Out of the 6 shades, I was sent #6 African Sunset which is a burgundy-brown shade. It is very pigmented and just as the product description says, it's really creamy. This product is so easy to work with and because of it's texture, it doesn't tug on the eyes at all. It is a waterproof product but it does take a bit of time to set so it's perfect if you want to smudge and blend it out. Working it on the waterline is fantastic too because it doesn't smudge to your bottom lash line if you just want it focused on the waterline. I love how this looks smudged out using it as a cream shadow and eyeliner in one. I paired it with a gold shadow on the inner half of my lid and on the inner corner of my eyes and it instantly gives you a bright eye look. This is how it looks when used only on the waterline. On the bottom lash line I have a matte brown shadow, and as you can see it did create a brighter look as well. The Stylenanda 3CE Under Eye Flash retails for $12.11 on the Stylenanda website, and I believe that the price point is pretty fair for the quality of product that you get. 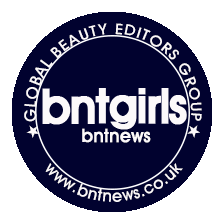 The only thing about this that a buyer must note is that it is shorter than most eyeliners in the market so you do get a smaller amount of product but this will still last you quite a long time. Oh, and before I forget, Stylenanda 3CE products are also available in the US through Urban Outfitters! I'm giving this product ♥♥♥♥♥/5! Oh wow, the color looks gorgeous - very smooth and soft-looking! Great review!